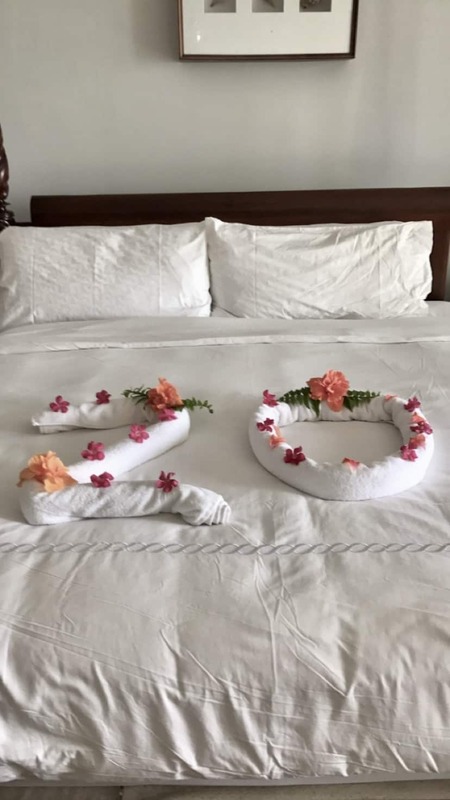 My husband and I celebrated our 20th wedding anniversary and when we were looking for getaways for our special escape, we knew we wanted a resort that went above and beyond. 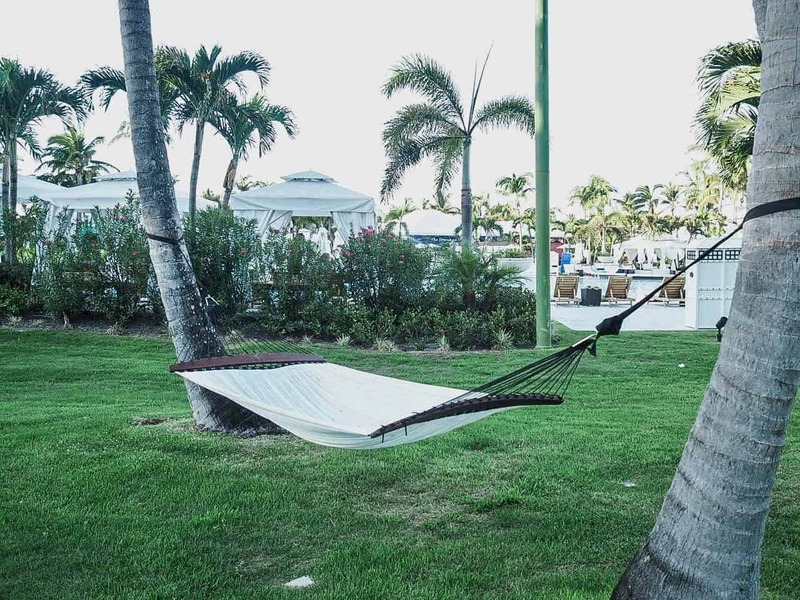 We didn’t want just any all-inclusive getaway, we wanted something memorable. Exuma, Bahamas has been on our bucket list for sometime now. 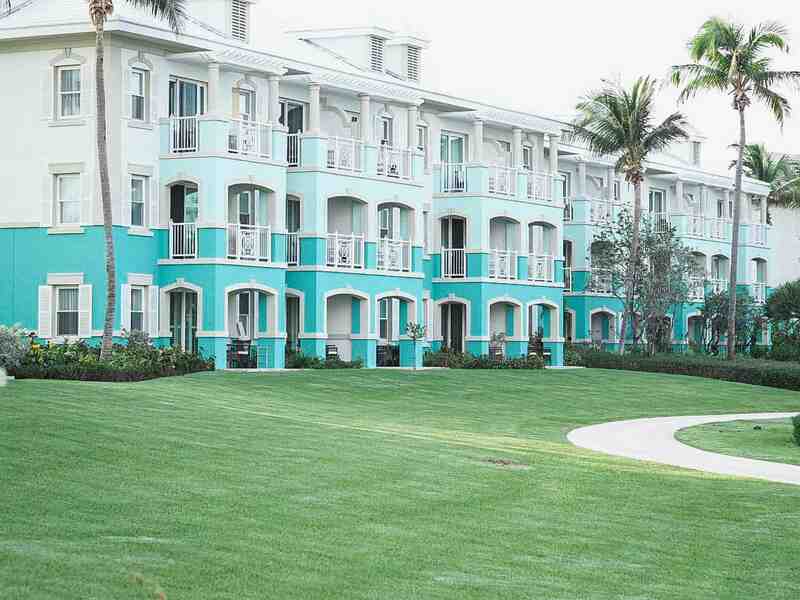 After very much research, we decided to stay at the Sandals Emerald Bay an Exuma Bahamas all inclusive resorts. 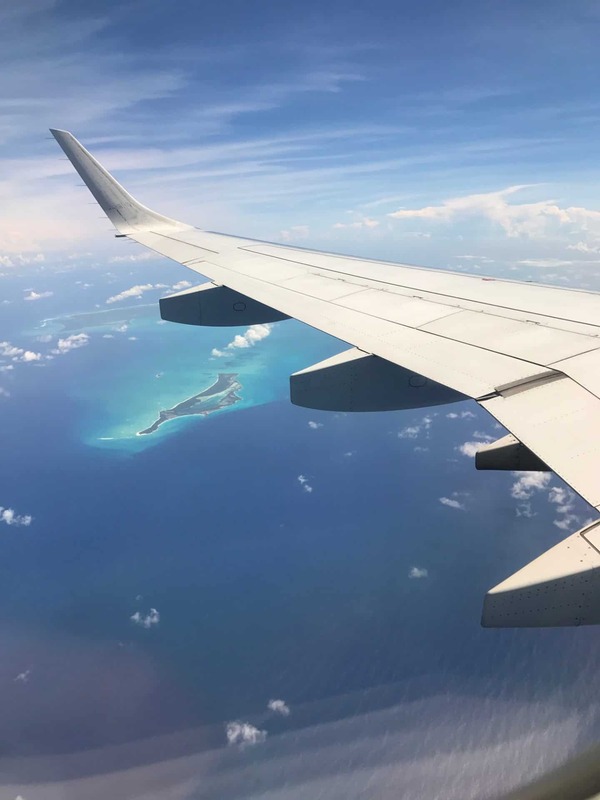 We flew from Toronto to Exuma on a direct flight with Air Canada airlines. 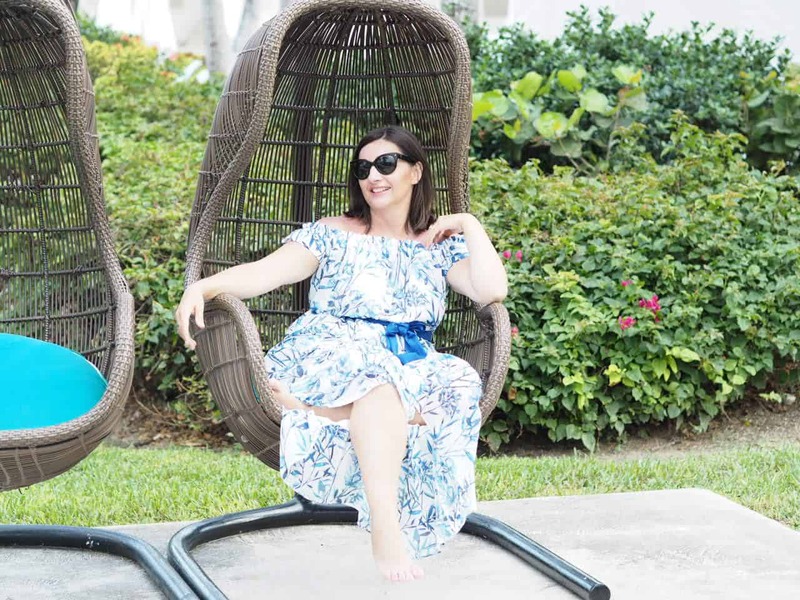 It was a quick three-hour flight from Toronto and the resort is a 15-minute drive from the airport and before we knew it, we arrived in Paradise! 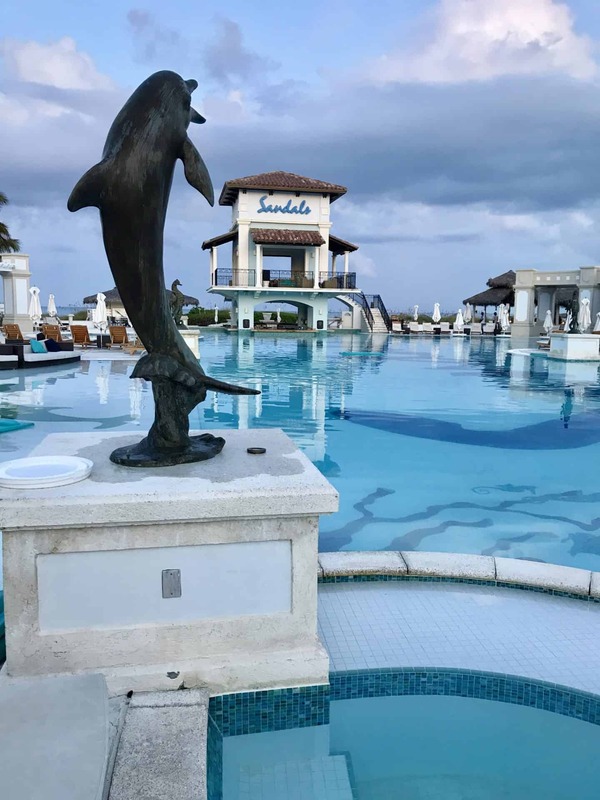 When we arrived at Sandals we were greeted upon check-in and introduced to our Butler who showed us around the resort and escorted us to our room…..yes, a butler! 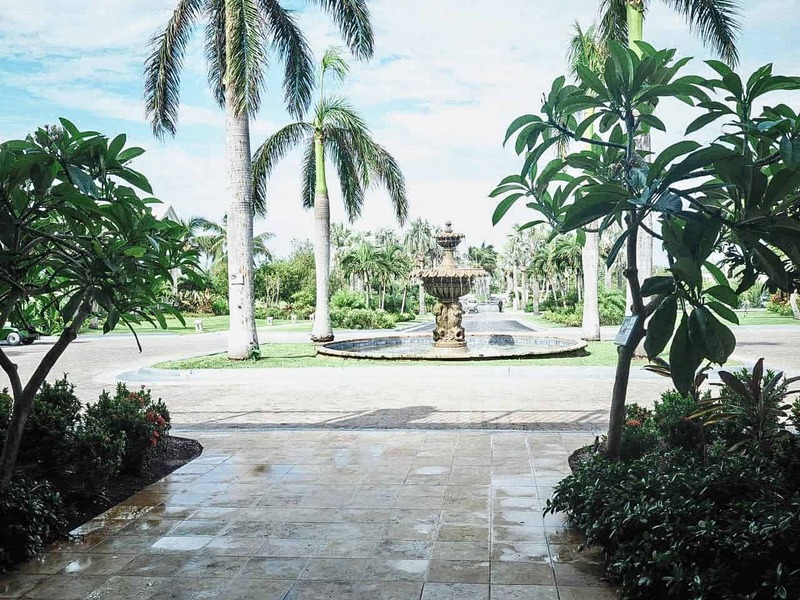 The resort is stunning with the perfectly manicured lush landscaping, gorgeous flowers, beautiful pools……everywhere we looked we just kept saying “WOW”. 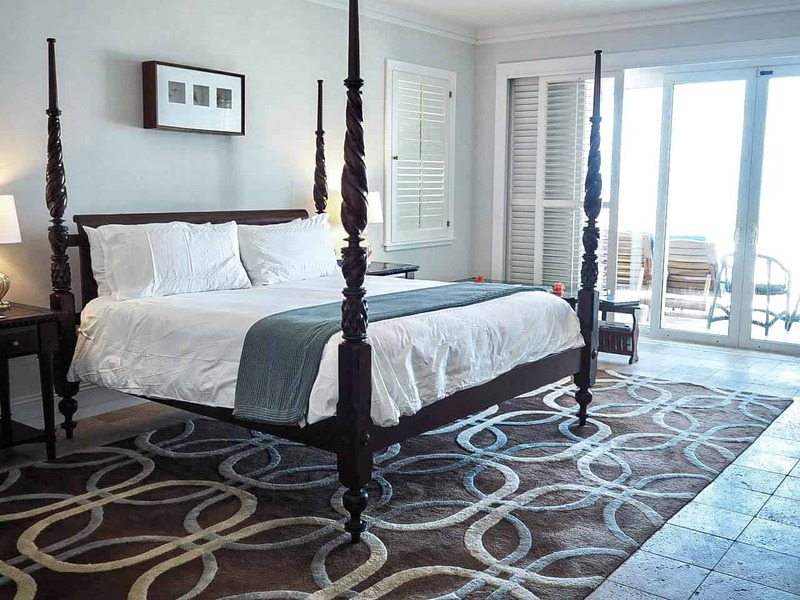 Our room was an oversized, spacious villa suite with its own beachfront hideaway, where we were able to walk out directly outdoors and stroll to the beach. 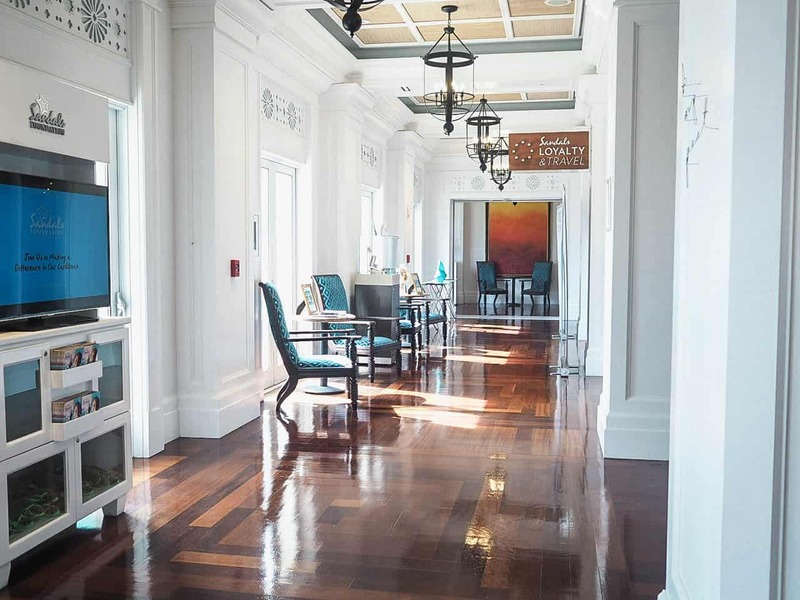 The room was decorated in mahogany furnishings and British Colonial accents. 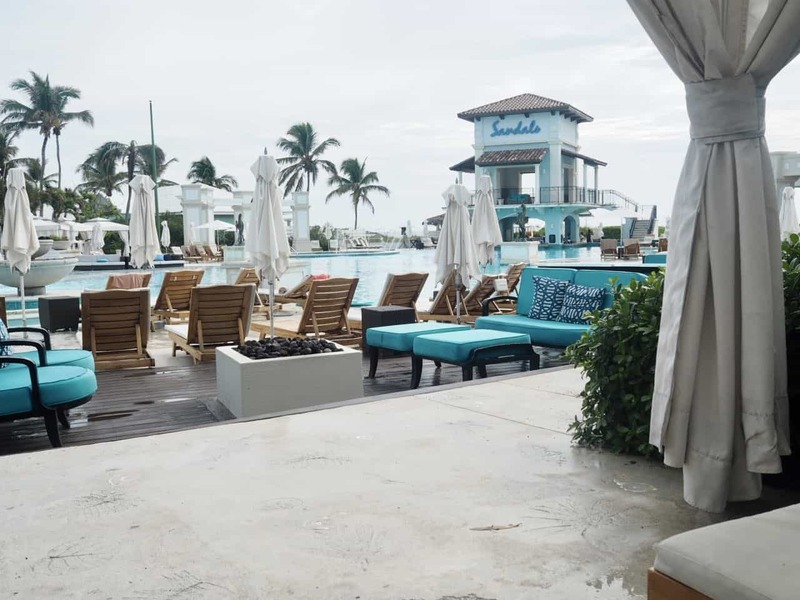 Sandals Resorts offers so many great features that stand out from other all-inclusive resorts. One of the services we got to experience was the butler service. I know, I know………this sounds crazy right! We honestly did not know what to expect as we are not use to being pampered and waited on. 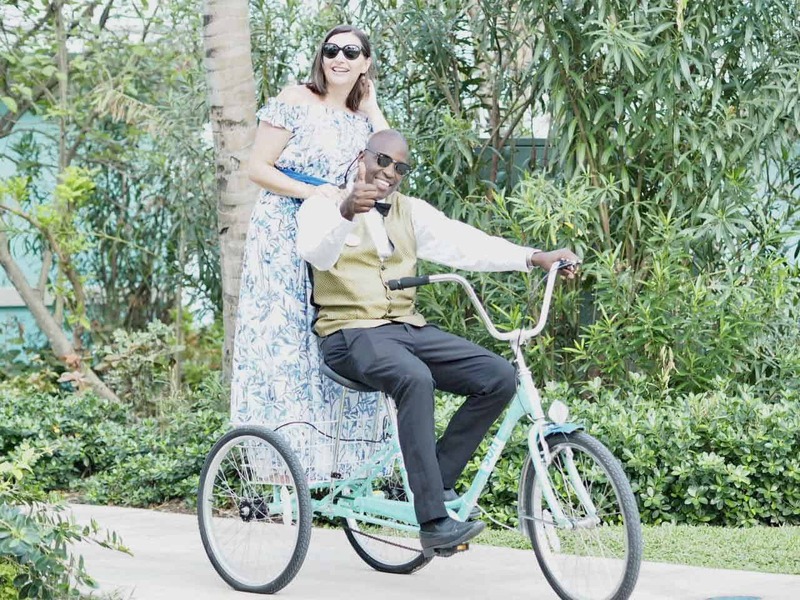 We are definitely not high maintenance (okay, maybe my husband is) but our butler service definitely enhanced our Sandals experience. Our butlers quote, “I’m here for anything you need”. Every morning our beach chairs were set up with towels for us. No rushing out at 6am to secure a beach chair. We also had our own cooler bag filled up for us each day. Another special touch was our own phone to contact our butler. When we entered our room there was a black phone on the table and the butler explained that this our special direct line for anything that we need. We did not have to worry about a thing. Everything was taken care of from dinner reservations, our special anniversary dinner, our excursions and yes even if you needed a cocktail! Okay, they even gave you a lift on the back of their bike. 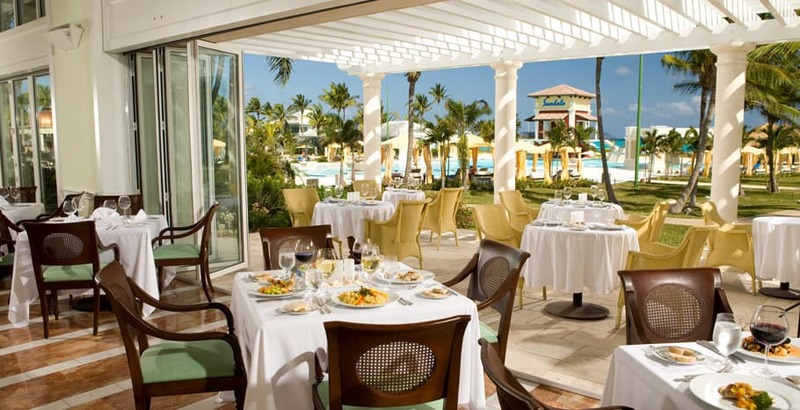 The Sandals Emerald Bay offers 11 unique restaurants for dinner. There is something to suit everyone. 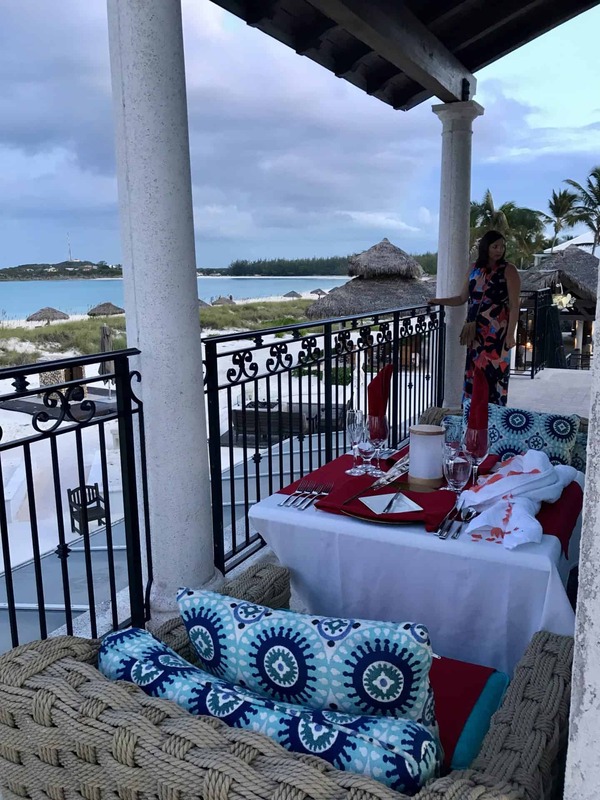 We enjoyed meals at several of the restaurants and my husband even coordinated, with help of the butler, a special anniversary dinner on the terrace. 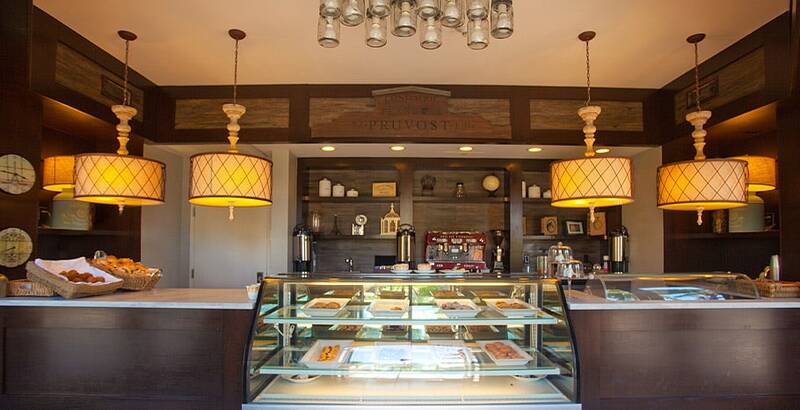 La Parisienne, the perfect place to indulge in fine, French cuisine. 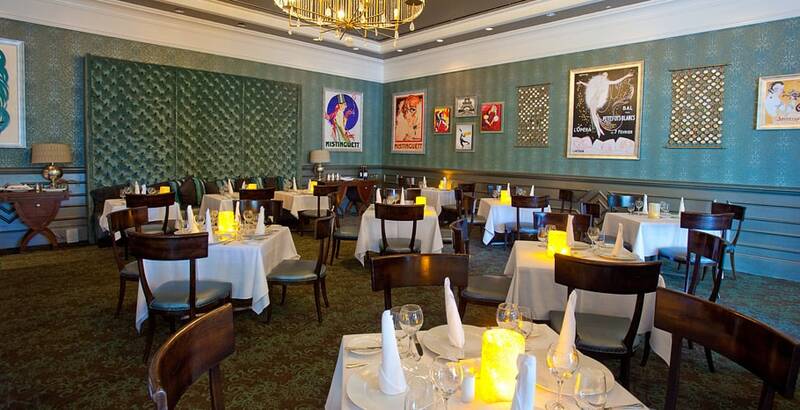 This restaurant had the chicest décor with blue velvet walls, modern art, rich colors, and magnificent chandeliers. Café de Paris was our go-to stop before heading out to breakfast to pick up our morning coffee. They also had freshly baked goods available. We often returned here for our afternoon coffee and snack. They also have delicious ice-cream. We enjoyed an Italian dinner at Il Cielo. Complete with white-glove service, this fine Italian restaurant with expansive views of Emerald Bay, serving a la carte breakfast and dinner. We loved the authentic Jamaican Jerk restaurant, in fact we visited here daily. The sauces were so addictive. To celebrate our anniversary, my husband arranged a sunset dinner under the stars served by a waiter in white gloves, on a table specially decorated with tropical floral arrangements and candle lights. 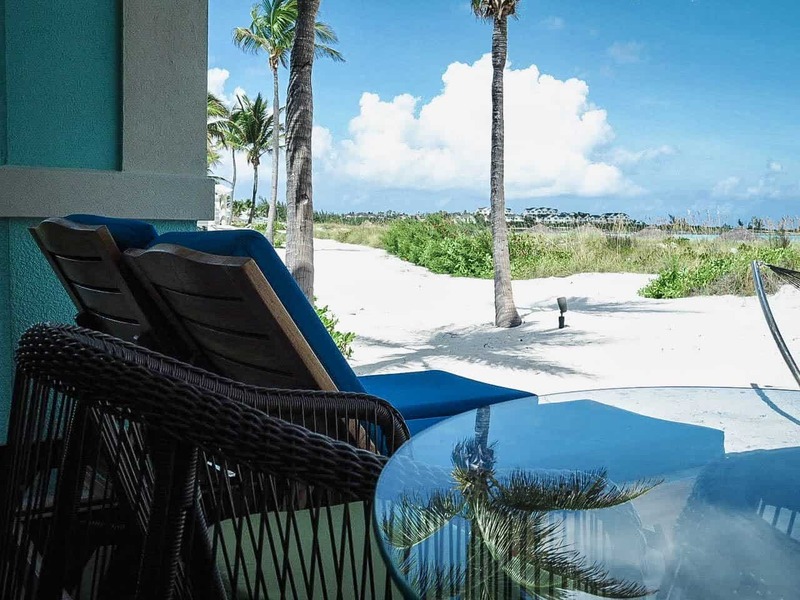 This luxury resort is designed to ensure you’ll feel like you’re the only ones there. 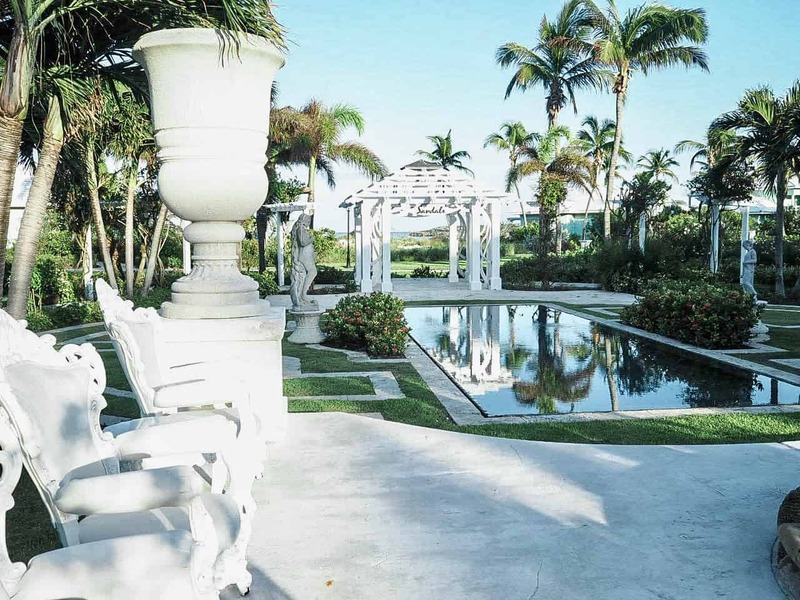 It’s location is in a secluded 500 tropical acres along a pristine, mile-long beach. 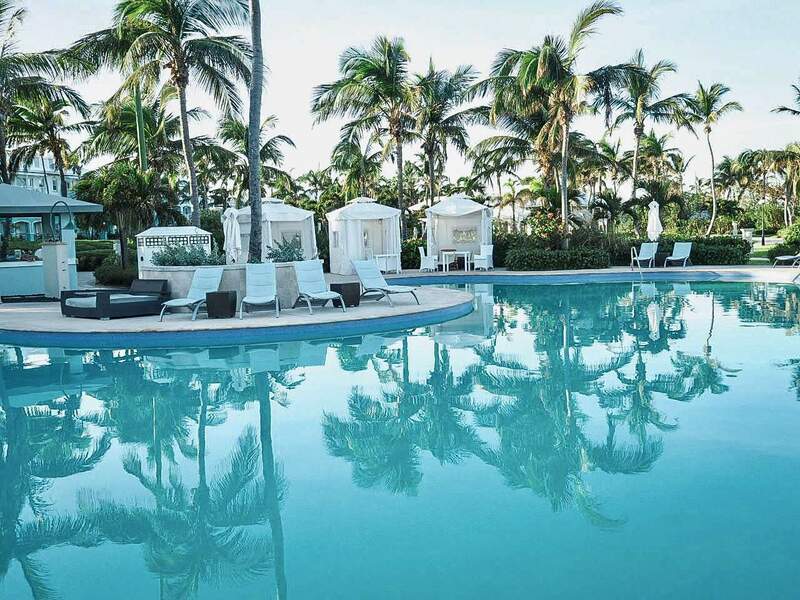 The resort has three impressive pools, a zero-entry pool with a dramatic fire pit in the middle. 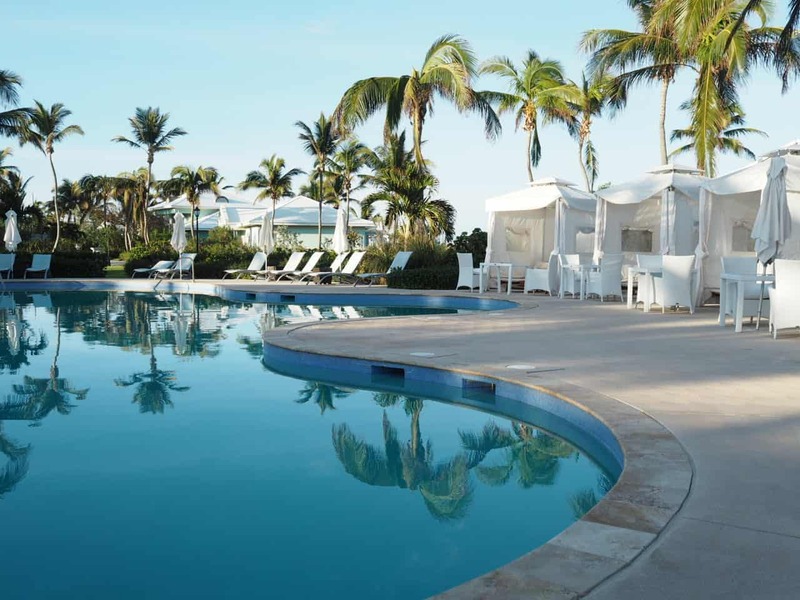 Included in this resort are golf and unlimited scuba diving! 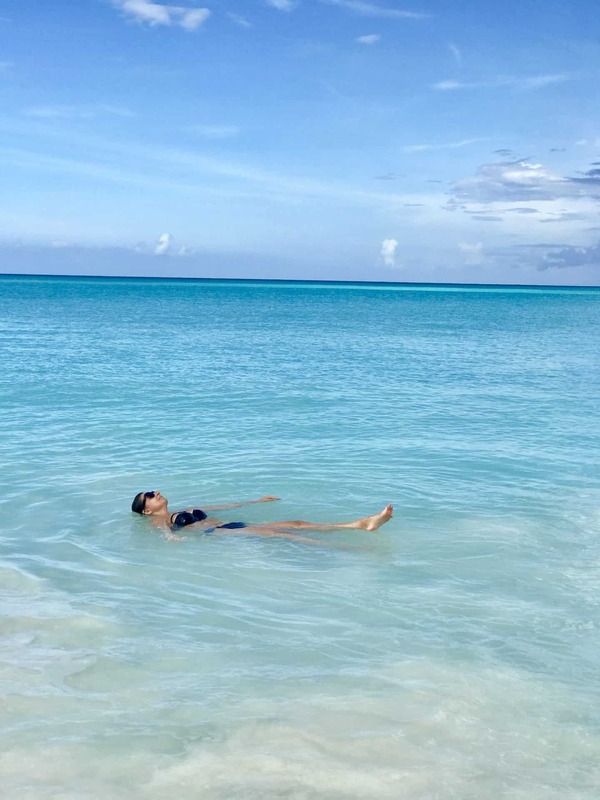 Scattered like pearls across the turquoise sea, the 365 islands of the Exumas have a special magic found nowhere else and are the most hypnotic and alluring of all the Out Islands. 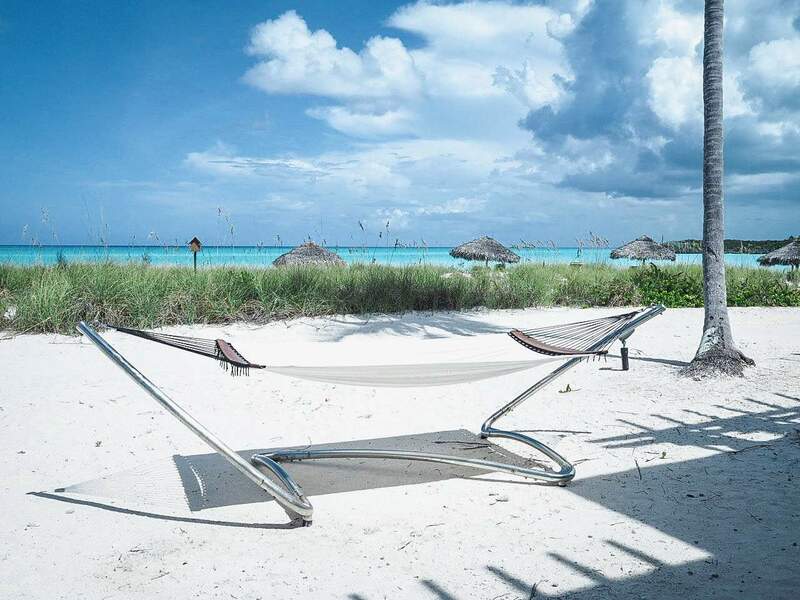 Sandals Emerald Bay sits directly on a pristine, mile-long beach, deep within the idyllic waters of the Exumas. When you visit Exuma, your trip is not complete until you go swimming with the pigs. 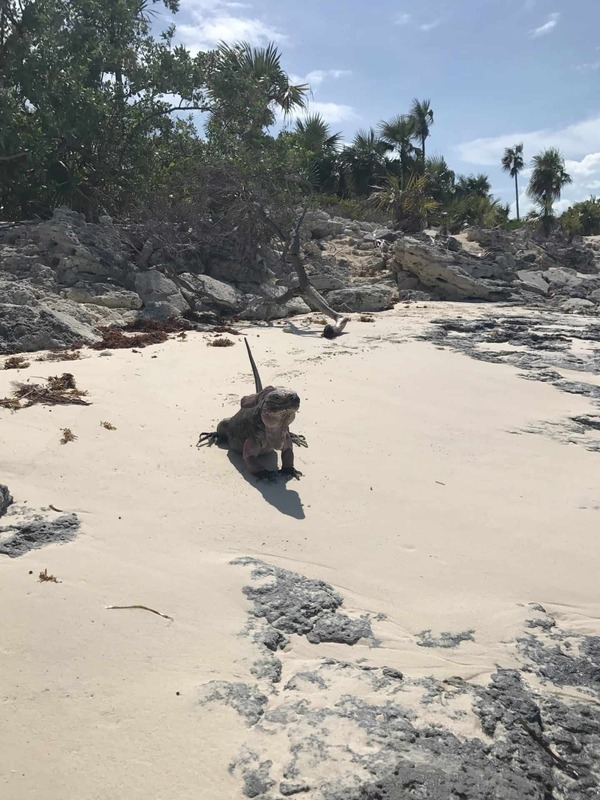 On this excursions we got to swim with the pigs and sting rays, visit an island full of Iguanas as well as some gorgeous secluded beaches. 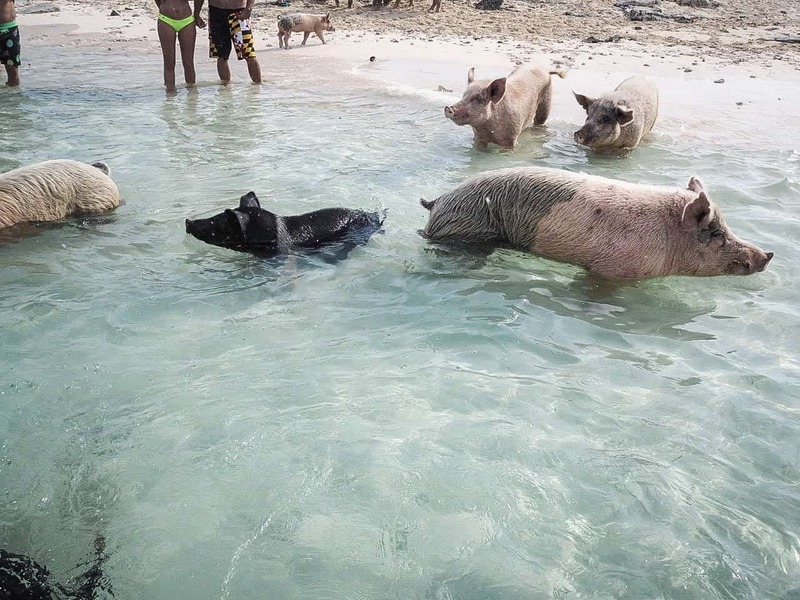 Swimming with the pigs of Exuma has evolved from a little-known secret to one of the world’s most sought-after experiences. In an archipelago of 365 islands known for their idyllic waters, these amazing animals swim freely on their own island. 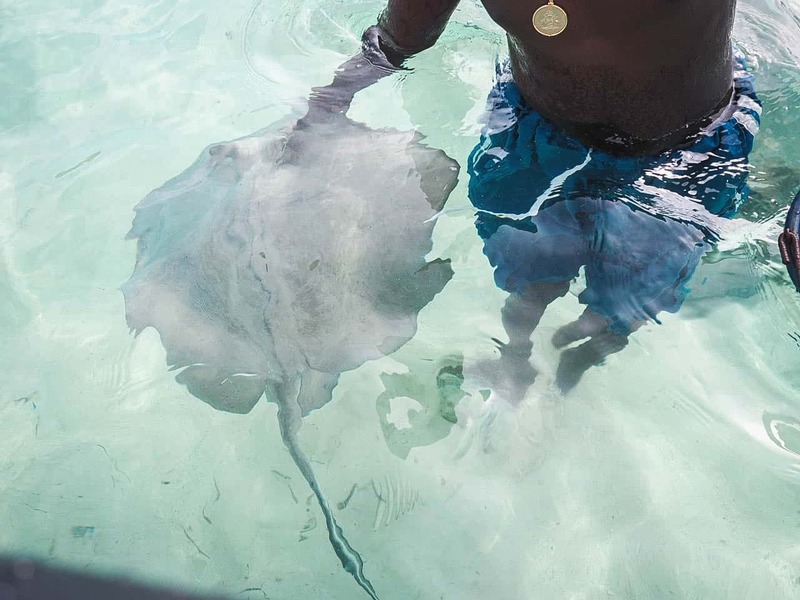 And when you stay at Sandals Emerald Bay, you can meet these adorable animals in a unique Swimming Pigs Adventure. 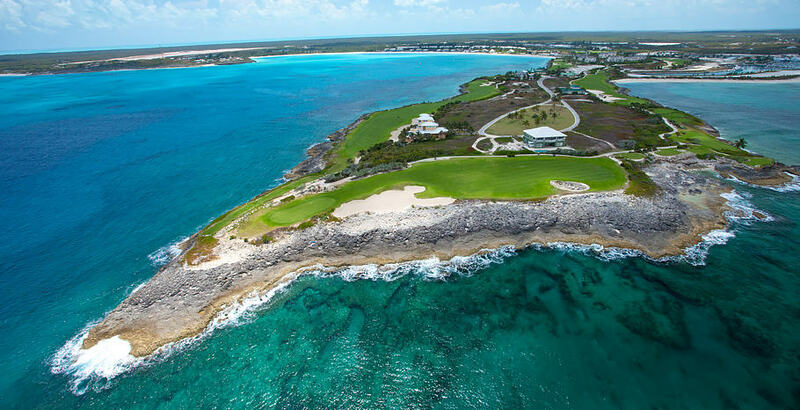 This amazing golf course was designed by golf legend Greg Norman, the award-winning Sandals Emerald Bay Golf Course is recognized as one of the most scenic ocean-side golf courses in the Caribbean and renowned for its challenging fairways. A golfer’s paradise, six signature holes hug the coastline of a scenic peninsula, and prevailing trade winds promise new experiences with each game. Although we are not golfers, yet, we had the opportunity to ride around the golf course and take in all the amazing views. This is the most spectacular golf course I have ever seen. The moment you step foot into the signature Red Lane® Spa you immediately feel the sense of serene relaxation. There’s nothing better than getting pampered while on vacation. With the on-site Red Lane spa, you can enjoy a luxurious massage or body scrub without even leaving the hotel grounds. I indulged in an amazing facial that left my face glowing. If you’re celebrating an anniversary, special occasion, or just a much deserved getaway, this resort will go beyond your expectations. 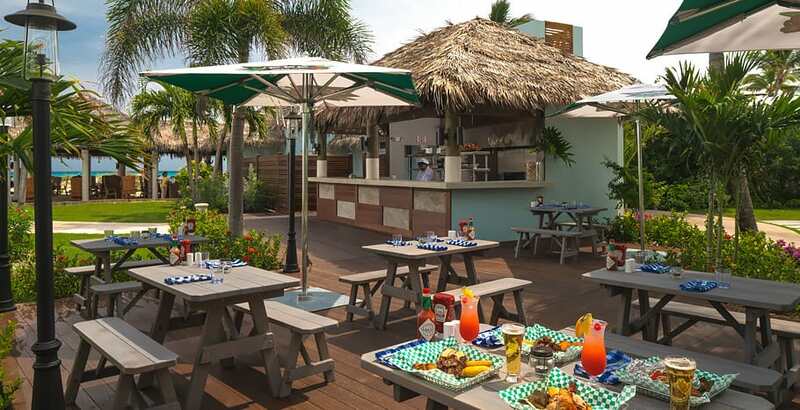 Synonomous with the Sandals brand, comes superior service, exquisite beaches and the finest cuisine but even more, the warm personal attention of the amazing staff that go above and beyond, is what makes the Sandals experience so special. 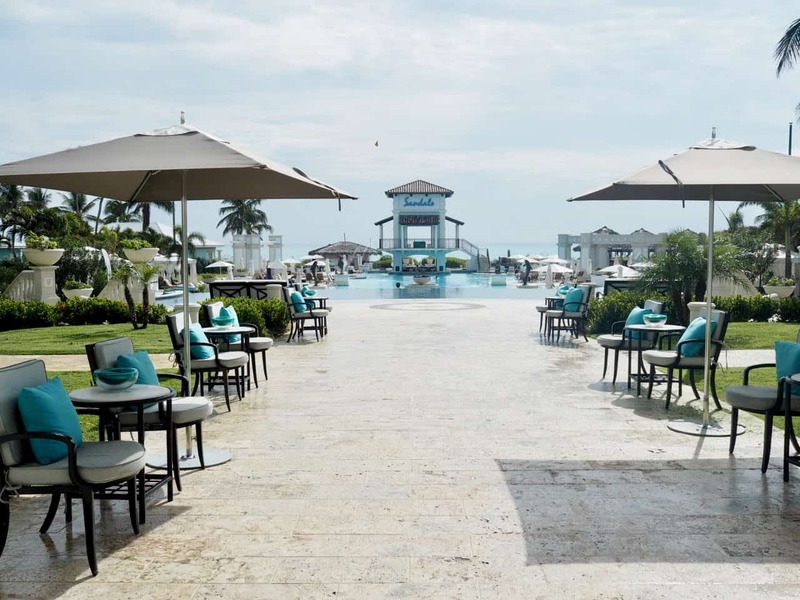 If you want your next all-inclusive vacation to be the most memorable choose Sandals. Now we are thinking of exploring other Sandals resorts. The toughest decision will be which one, they are all gorgeous. 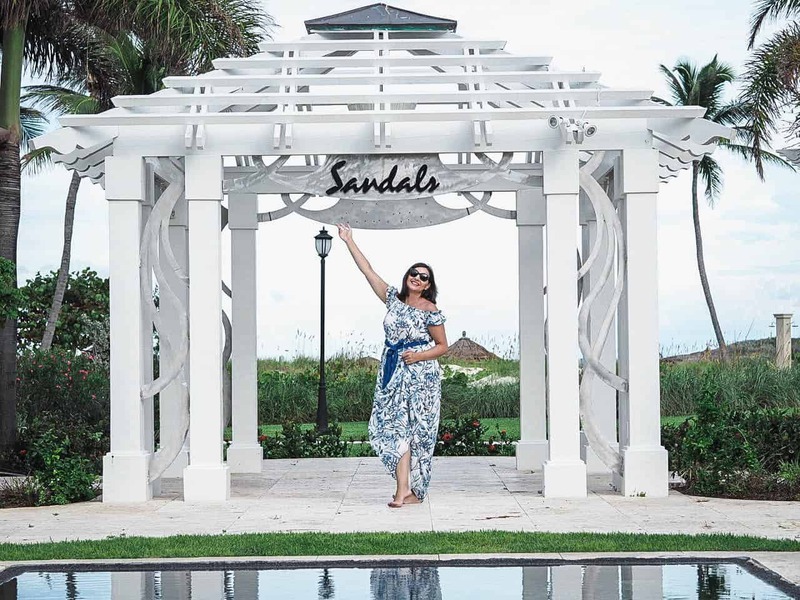 Thank you so much Sandals for a memorable stay. no i know BUT THEY ARE DARN cute ……. What an absolutely STUNNING way to celebrate 20 years of love and togetherness. I loved all your lovely photos and enjoyed reading this post. Just lovely! Thank you so much. 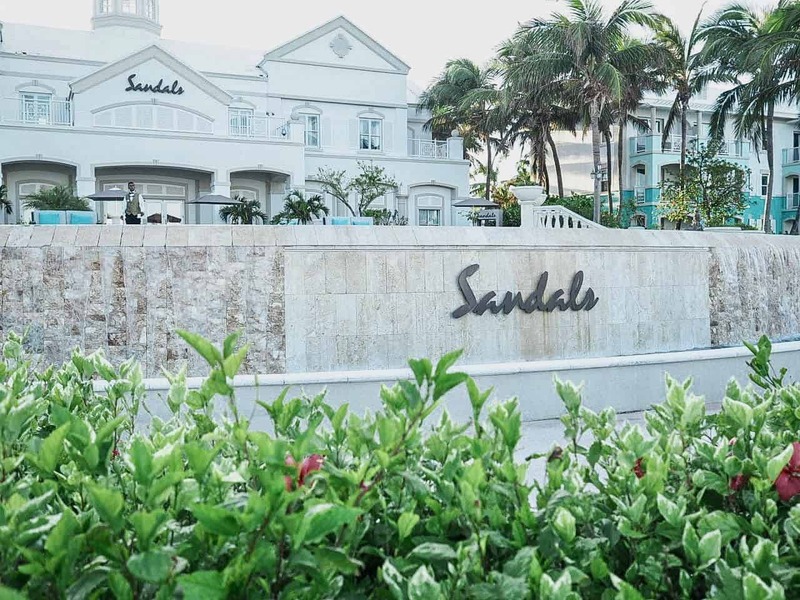 We had such an amazing time – Sandals made us feel special, celebrating our special anniversary. 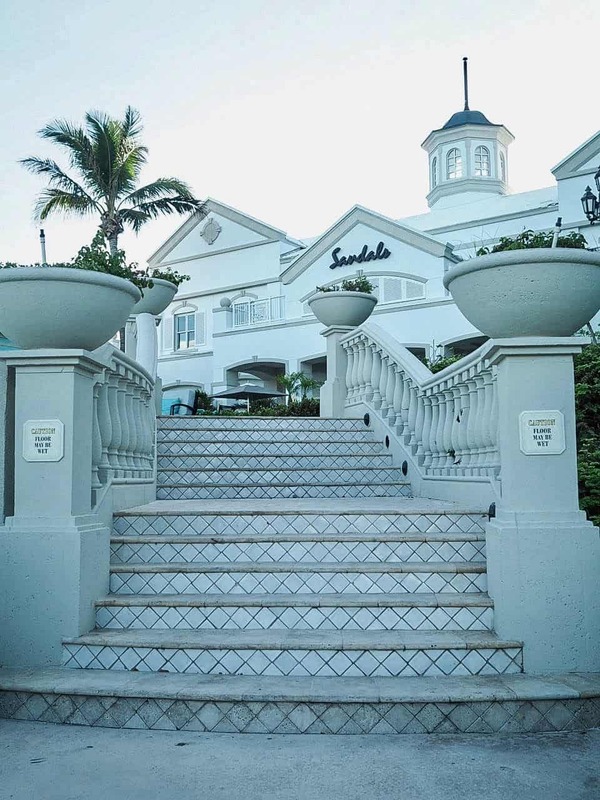 Sandals looks like the perfect place to celebrate an anniversary! So beautiful!